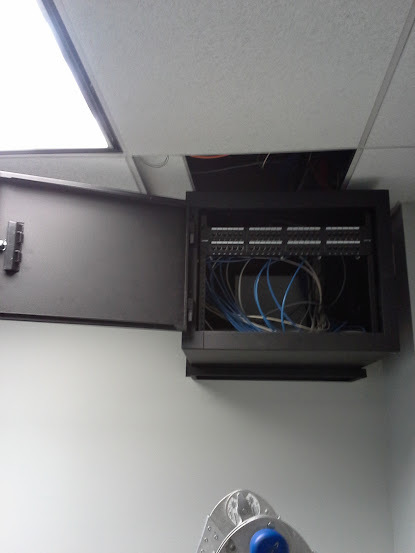 Currently we are working on installing a network for a customer who wanted a fully enclosed rack, because it is going to be in the main office space area. 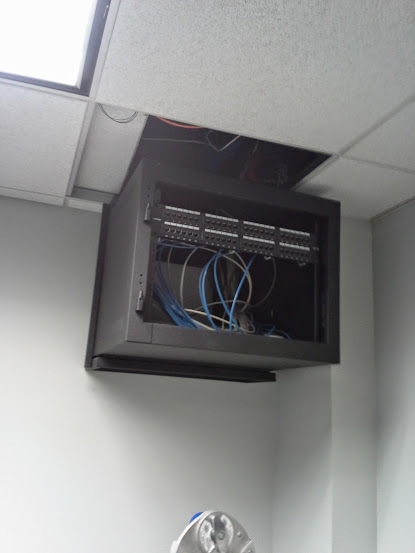 The CAT 5 wiring was already in place, but the panel had been removed, and the wires were just rolled up in the drop ceiling. Enclosed rack mounted completely closed. Front door open in the rack. The front door of the rack is easily removable! Door removed and entire rack swung open. 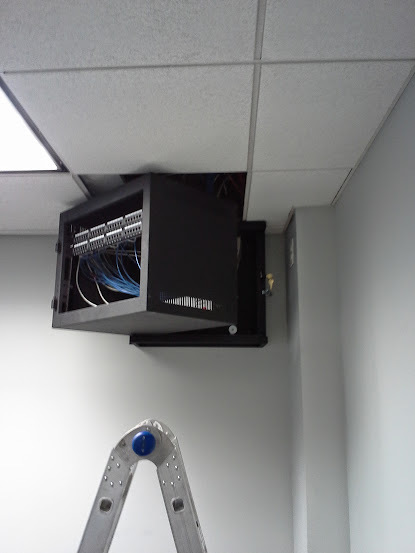 Another patch panel will be installed, probably in the back portion of the rack for the IP cameras and door phone. All patch cords will be color coordinated with the color of the jacks. And here it is - the final patched in product. The customer wanted the patch cords to match the jack colors, so blue and white patch cords were used. A co-worker of mine completed the patching in of the panel and switches. Due to space restraints with the door of the panel closed, we could not make the patching any neater than it appears in the images. 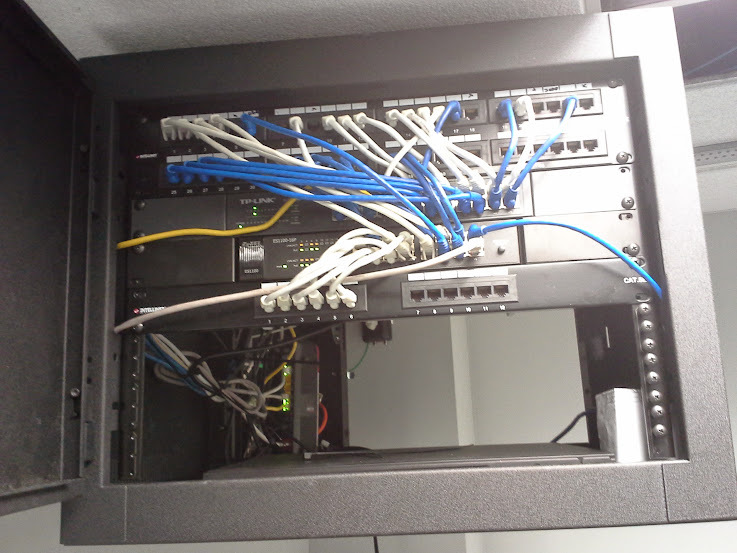 A 24 port switch and a 16 (a ports PoE) switch was installed and mounted. 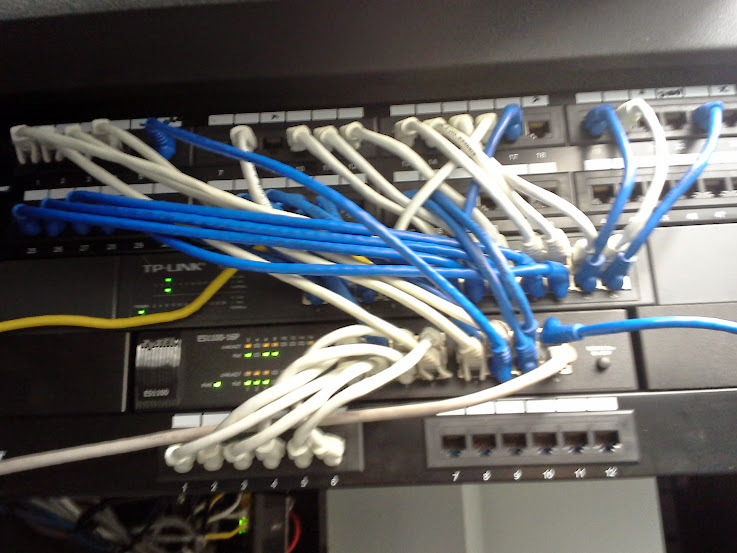 The top panel is for the (white) voice (VoIP) and (blue) data jacks. 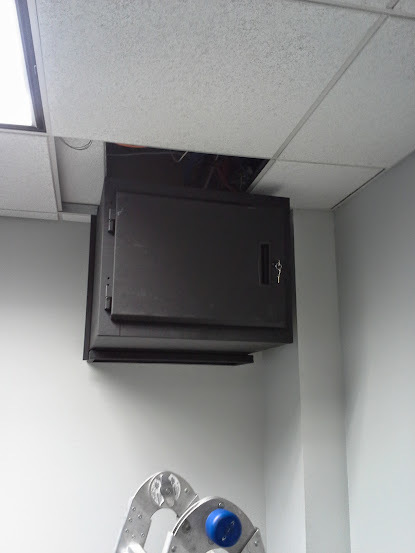 The bottom panel is for the IP cameras.